If you’re already swooning over this beautiful cake, just wait until you see the entire gallery brought to us by Samantha Zenewicz Photography! Inspired by Pantone’s color of the year, this downtown Pittsburgh styled shoot comes to life with modern details including blush sequin table linens, acrylic signage, a romantic lace bridal gown, gold accents, oh-so-pretty florals, and a custom invitation suite complete with a wax seal! See it all below! From Samantha Zenewicz Photography…The 2018 Pantone color of the year was featured in this classic yet romantic downtown Pittsburgh wedding styled shoot. Vendors from Pennsylvania, Maryland and even South Dakota came together to provide beautiful details set in the historical William Penn Omni Hotel. The details and bridal wear are romantic and classic, with touched of modern wedding trends such as a more artistic cake and acrylic table pieces. 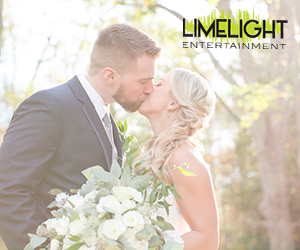 Venue: The Omni William Penn / Photographer: Samantha Zenewicz Photography / Floral Designer and Event Designer: Allison McGeary Florist / Calligrapher: Salinson Creative / Dress Designer: Hyacinth Bridal / Shoes: Badgley Mishka / Cake Designer and Sweets: McGreevey Cake Co.